For anyone familiar with the history of the European integration, it is hardly surprising that when Germany speaks the European Union tends to listen. Germany is the Member-State with the largest population in the Union – and thus enjoys the largest institutional weight in terms of votes in the Council and Members of the European Parliament (MEPs). This prominent position is reinforced by the Franco-German entente that has been seen for years as the political driver behind initiatives leading to significant further integration. This special relationship has been recently on the decline with a weakened French economy as opposed to the German one which is mainly perceived as THE “economic locomotive and anchor of stability for the whole union growth”. This advantageous position of Germany has not translated itself into the European Union being dominated by a bullish dictatorial Germany, although some Southern European Countries might beg to differ. In light of this, one might better understand why the whole of Brussels has been nervously looking toward Berlin for the past few months, awaiting with anxiety the result of the elections. The reason being, a new government may mean a new German European policy with fresh broad orientations that would open some new windows of opportunity for reaching new agreements at the EU level. On Wednesday the Christian-Democrat CDU/CSU of Chancellor Angela Merkel and the Social-Democrat SPD of Peer Steinbrück finally broke the deal on a coalition agreement leading to a Große Koalition or “GroKo”. From that point, the EU has been allowed to stop holding its breath and finally think again about how to advance on crucial issues for its survival. This draft document – still to be officially approved by the SPD congress – is defining the political guidelines to be followed by the German Government Merkel III. The coalition’s roadmap does, naturally, contain a chapter dedicated to European politics. 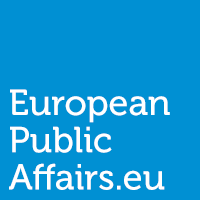 Based on the idea of strengthening and deepening EU foreign policy, the document, among others, stresses the need for granting more power to the High-Representative of the European Union for Foreign Affairs and Security Policy (hereafter High-Representative) and to the European External Action Service (EEAS). More precisely, the agreement underlines a few propositions such as the necessity to improve the internal functioning of the EEAS; the need to better link its interactions with the European Commission in matters of foreign policy, trade and development aid; the desirability of enhancing its actions toward preventing and dealing with crisis; and the plan for “further linking [of] civilian and military instruments of the EU [with] improving military capacities for crisis prevention and conflict resolution”. Ambitious as their future plans are, the truth is that, according to EEAS figures for 2012 as stated in a letter to the European Parliament, Germany has been so far punching below its weight when it comes to EU foreign policy and its representation among the EEAS staff. In addition, the German Parliament, fearing that the EEAS’s lack of efficiency may become a waste of taxpayer’s money, has been particularly picky on the intertwining of budgetary matters and parliamentary control in the start-up phase of the then newly created EEAS. This apparent lack of interest, and maybe even defiance from Germany towards the EEAS could find its origin in the fact that the EEAS has not been of vital interest thus far to this large country. Following a CEPS 2011 study “Upgrading the EU’s Role as Global Actor”, Germany enjoys its own extended network of 227 representations around the globe, a number only outperformed by France and Italy. Furthermore, another reason behind the German lack of support for the EEAS has been its export-oriented industry which offers Germany a parallel economic network to project its political power abroad. Finally, more generally speaking, EU foreign policy has fallen off the Member States’ political radar due to urgent matters related to the Eurozone crisis. Whatever the form of the EEAS, or the powers of the High-Representative, the roles and missions will continue to be undermined unless Member Sates demonstrate strong political commitment to developing and strengthening the Common Foreign and Security Policy (CFSP) and Common Security and Defence Policy (CSDP). And here lies the significance of this draft coalition agreement since it could be interpreted as an early sign of change in Berlin’s mentality toward foreign affairs pursued at the EU level and could demonstrate a readiness for taking leadership responsibility in foreign policy. This renewed interest in the High Representative may reveal Germany’s potential aim of securing the position for one of its national. In the case if Martin Schultz, the German Social Democrat currently holding the Presidency of the European Parliament doesn’t become President of the European Commission, SPD’s Frank-Walter Steinmeir, current Bundestag opposition leader, former Vice-Chancellor and former foreign minister during the previous first Grand coalition may be the obvious choice. Ultimately, despite this renewed commitment on the German side to a strengthened High-Representative and EEAS, as long as the other Member-States are not on the same wave-length, no far-reaching change will be made to the current treaty dispositions. And even in the case of those actors being de facto reinforced, the current de jure design of the position of High Representative and the structure of the EEAS does not allow them to completely bridge the gap between the Commission and the Council. Neither do the treaties provide for a true integrated approach between supranational development policies, and on the other hand the highly inter-governmental governance of the CSDP. This is why as long as these structural issues are not solved, entrusting, or not, the High Representative with more power will not dramatically change the efficiency and coherence of the External Action of the Union. Without the Member States sharing political will in favour of a treaty change laying down the basis for a EEAS and High Representative truly integrating both development and CSDP, this whole discussion will remain a “Querelle Byzantine”, an endless discussion on very specific theological points that is passionate but without great interest. NextWORLD AIDS DAY: LET’S TALK ABOUT HIV!